Auditions for the World Youth Choir and the EuroChoir summer sessions are being held at the music room of the St James Cavalier Centre for Creativity, Valletta, tomorrow from 5pm onwards. The auditions, which are being organised in partnership with Arts Council Malta, are open for singers aged between 17 and 26 (till July 1, 2018) for the World Youth Choir and 18 to 30 for the EuroChoir. 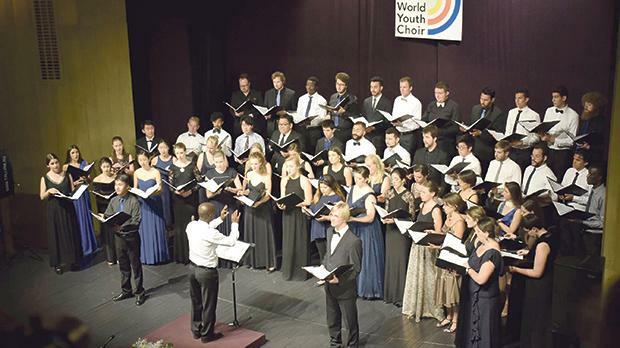 The World Youth Choir (WYC) is an educational and social experience aimed at talented young singers aspiring to be professional choral singers or soloists. The 2018 summer session, this year supported by the Inner Mongolia Bureau of National Art Troupes, will take place between July 4 and 25, with a rehearsal session in Hohhot, and a concert tour in Inner Mongolia, Beijing and the Guizhou province. The tour will end with the choir singing at the opening ceremony of China’s 14th International Chorus Festival in Beijing. The conductors for this year’s session will be Helene Stureborg and Jonathan Velasco. EuroChoir is a unique choral event organised by the European Choral Association – Europa Cantat in cooperation with a local partner every year in a different country. Initiated in 1982, EuroChoir offers the opportunity to 60 young singers to get together for eight days to rehearse a challenging programme with two renowned conductors (Maria van Nieukerken and Mikko Sidoroff), to improve their vocal skills with a vocal trainer and present the results of their work in public concerts. This special choir project aims to promote European choral music among young singers and to encourage cultural exchange within Europe. This year’s dates are from July 19 until August 1, with the sessions being held in Finland and Estonia.